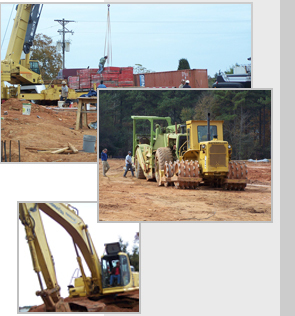 Loftis Corporation has been participating in industrial, commercial, institutional and land development projects in both public and private sectors for twelve years. Loftis Corporation offers the following services: land clearing, site grading, underground utilities and erosion control. We work as a team with owners and contractors in order to provide expedient construction services. We invite you to explore our website to discover how Loftis Corporation can serve you. © Copyright 2006-2007 Loftis Corporation. All Rights Reserved.